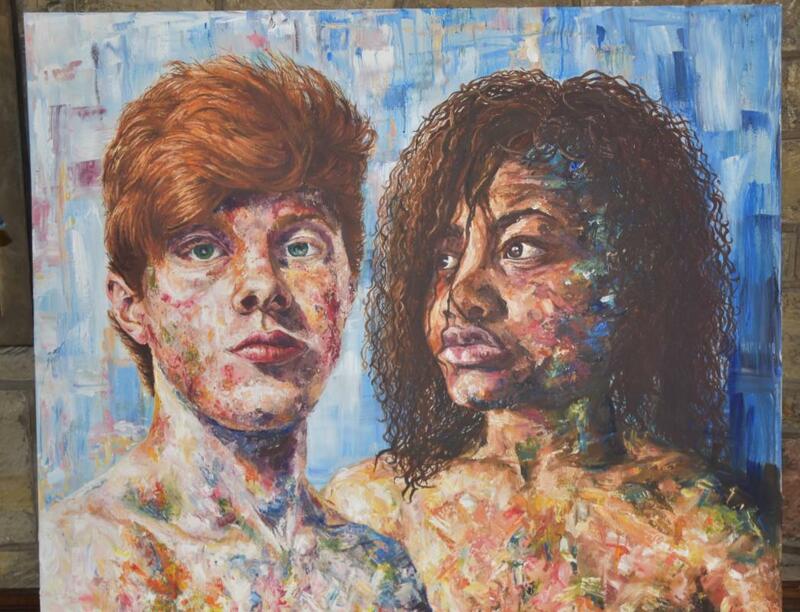 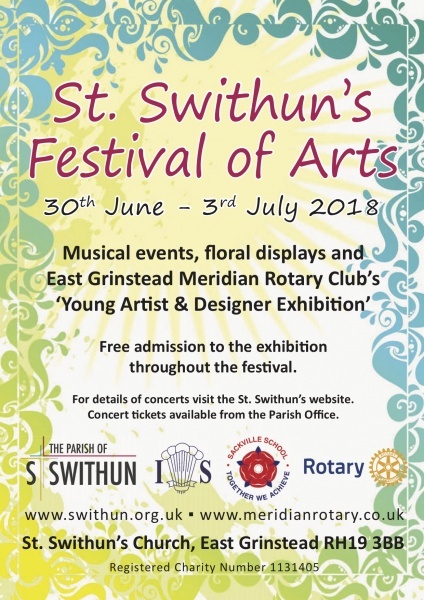 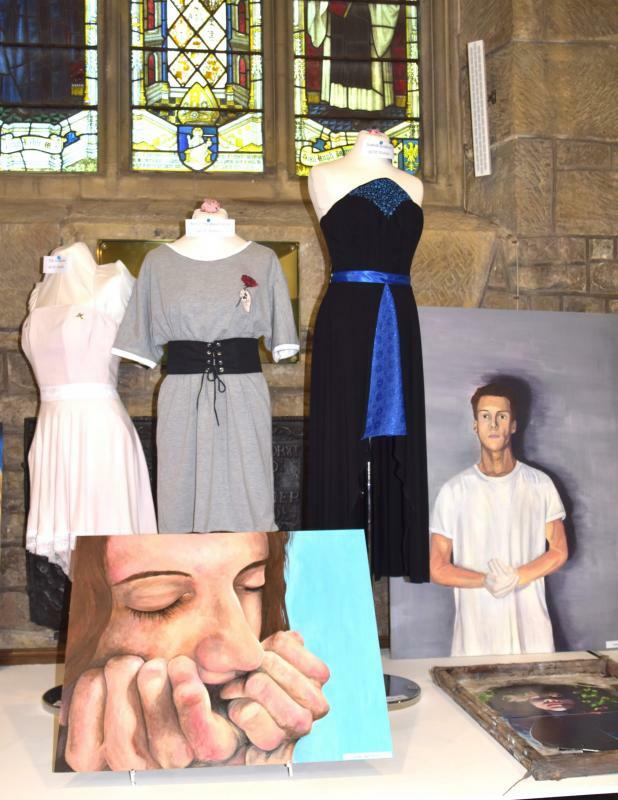 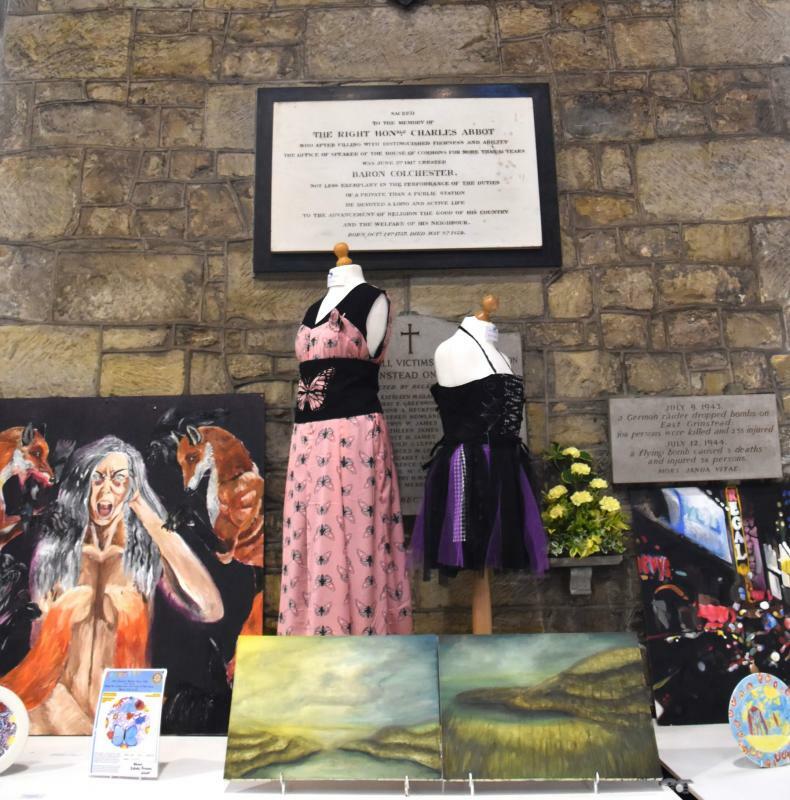 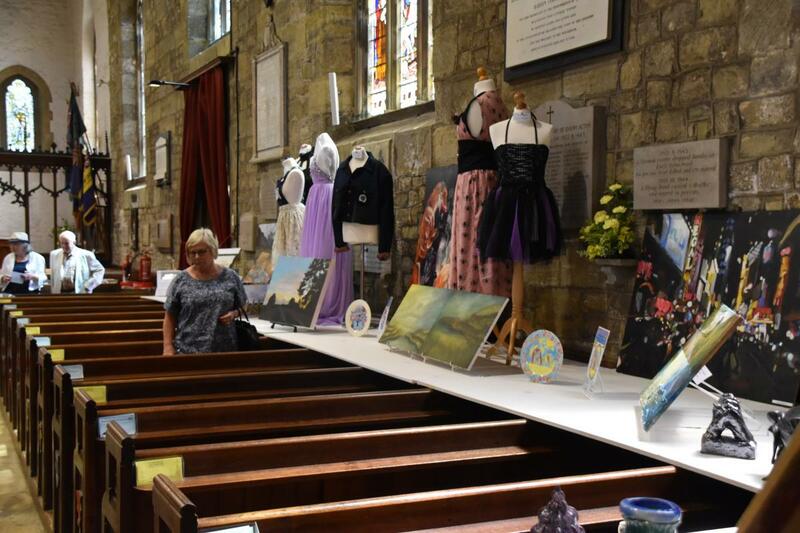 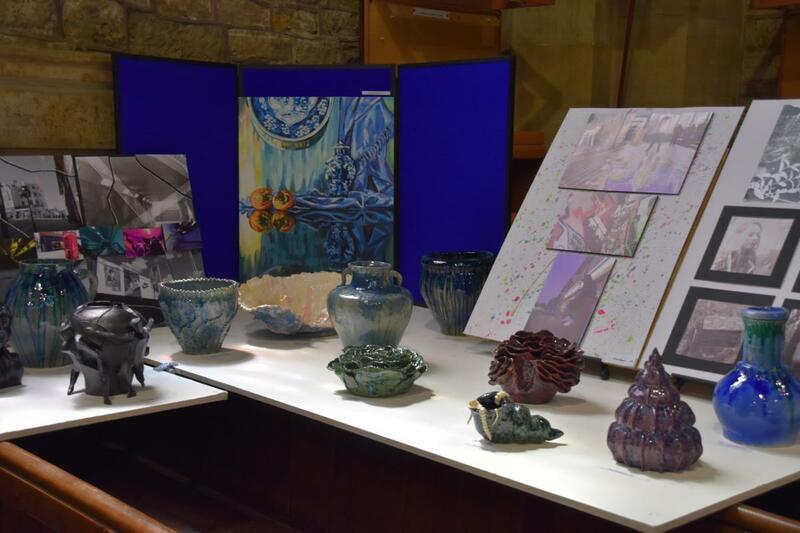 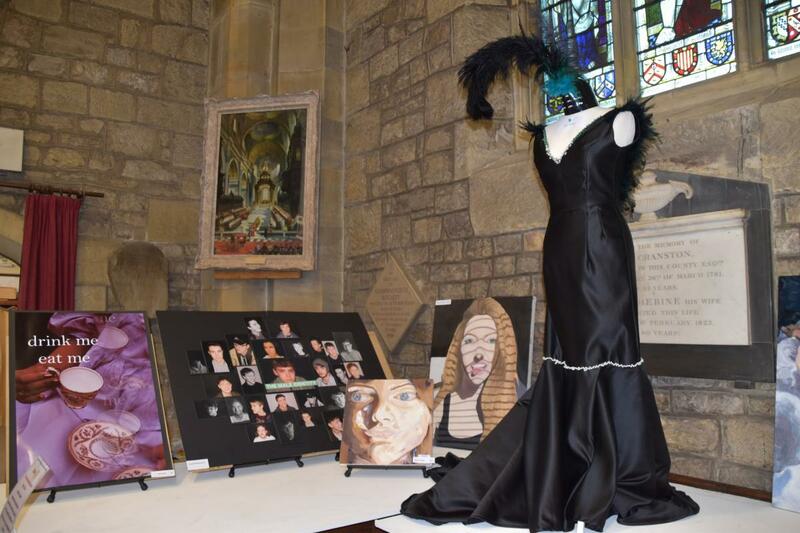 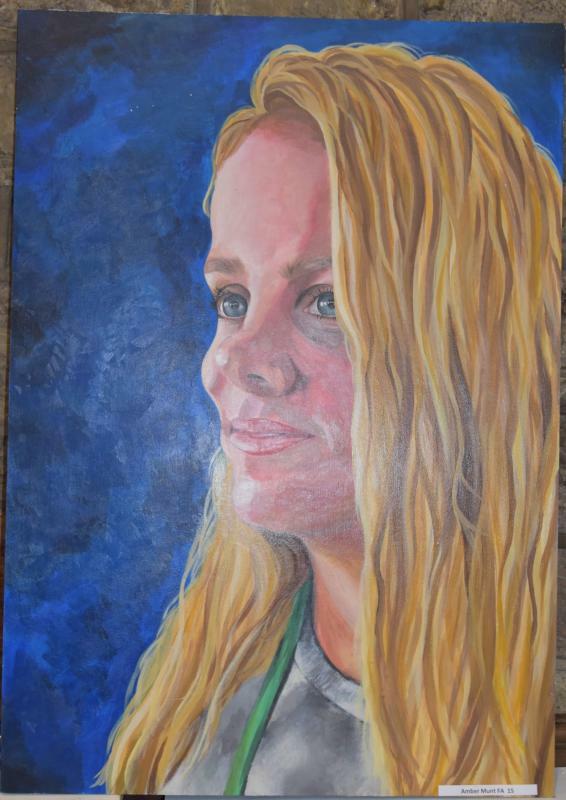 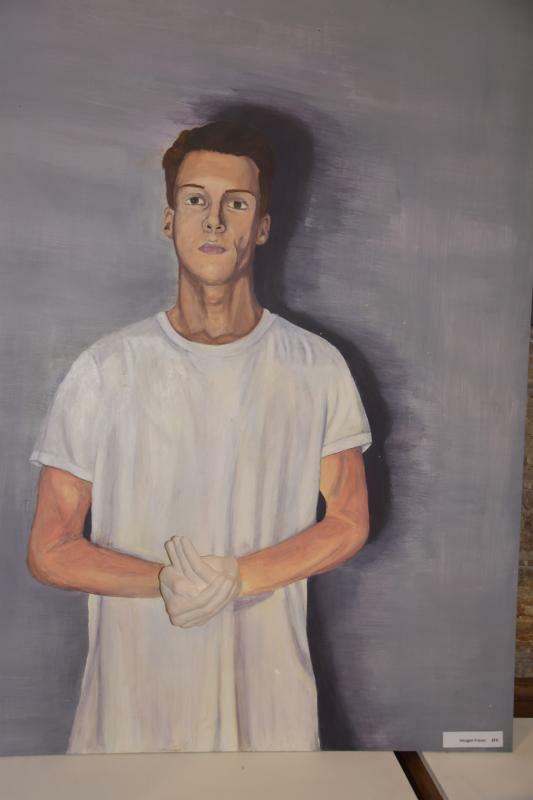 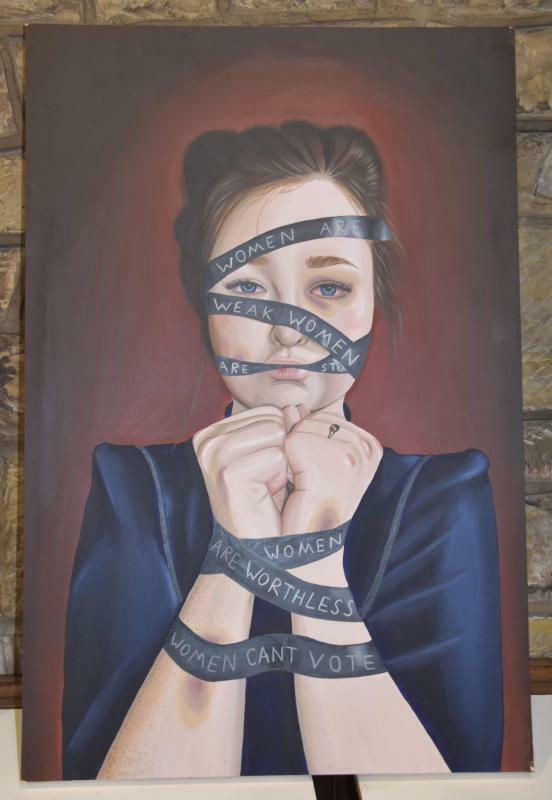 East Grinstead Meridian Rotary, in partnership with St Swithun’s Church and our two secondary Schools, Sackville and Imberhorne, recently held a RotaryYoung Artist & Designer Exhibition and Award. 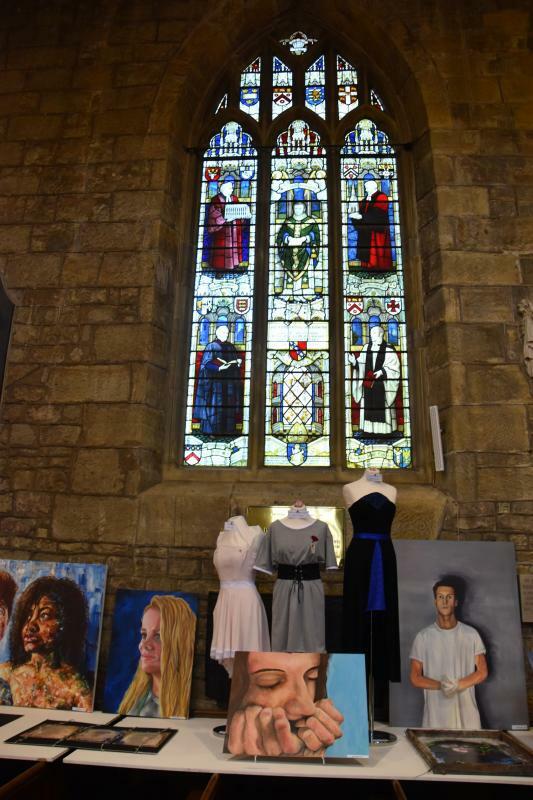 Selected pieces of art produced by Sackville and Imberhorne Students were displayed in St Swithun’s Church from Saturday 30th June to Tuesday 3rd July: the public were welcomed to visit and review the works, and were invited to vote for their favourite pieces in four categories: Painting and Drawing; Photography; Ceramics; and Textiles. 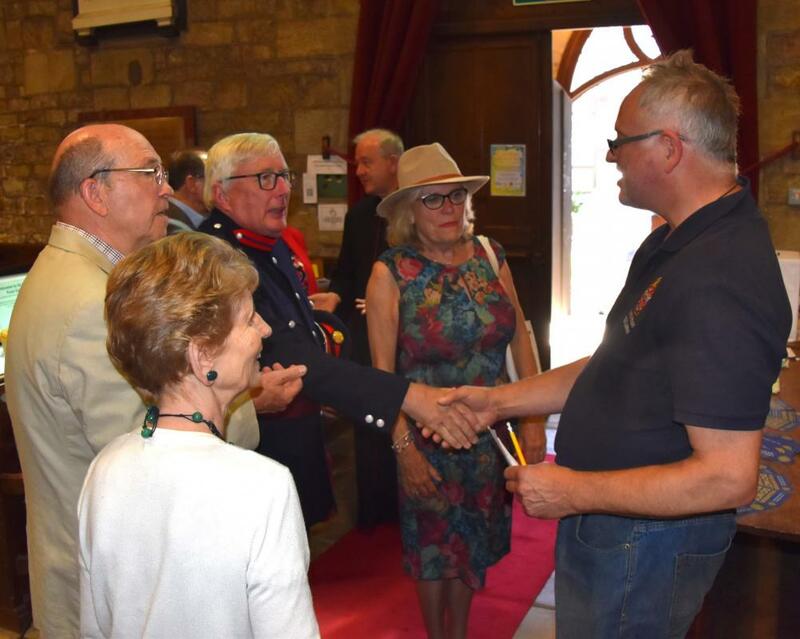 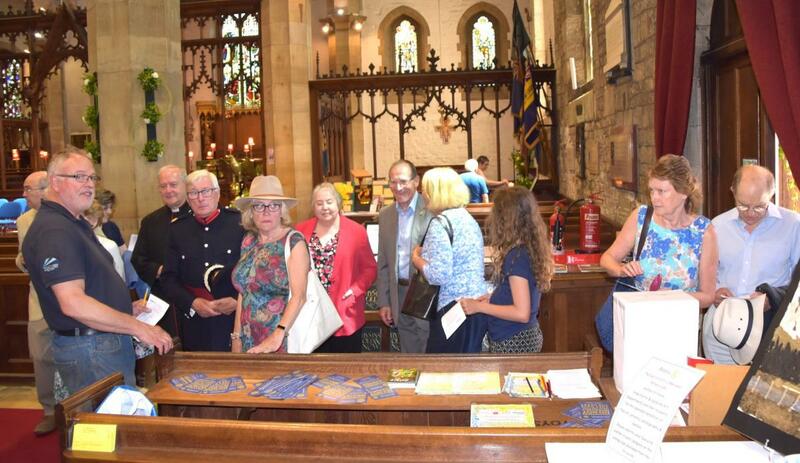 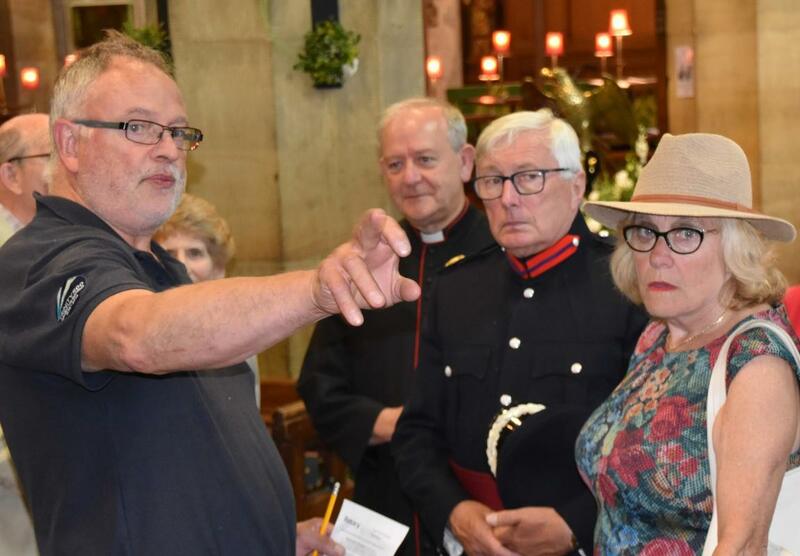 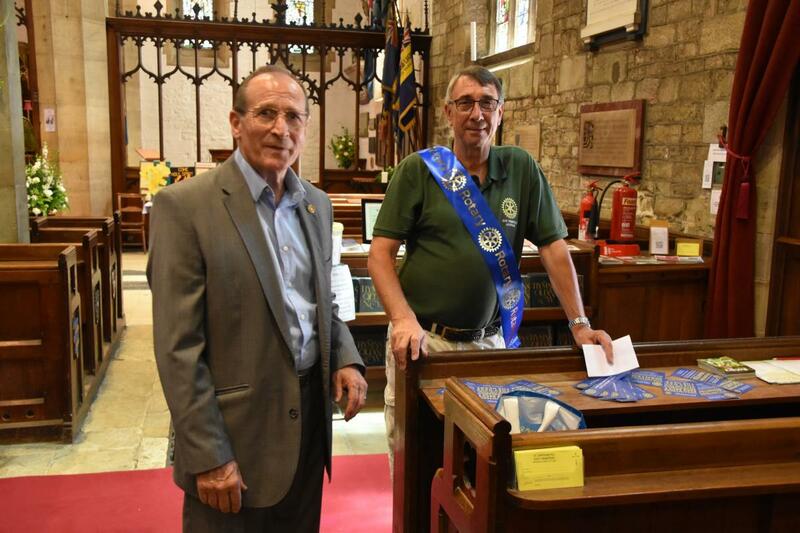 The winners in of the four categories were announced in the Church at 5.30pm on Monday 2nd July, and prizes were awarded by the Town Mayor Mr Rex Whittaker, and the Rotary Club President Mr Steven Kirupai. 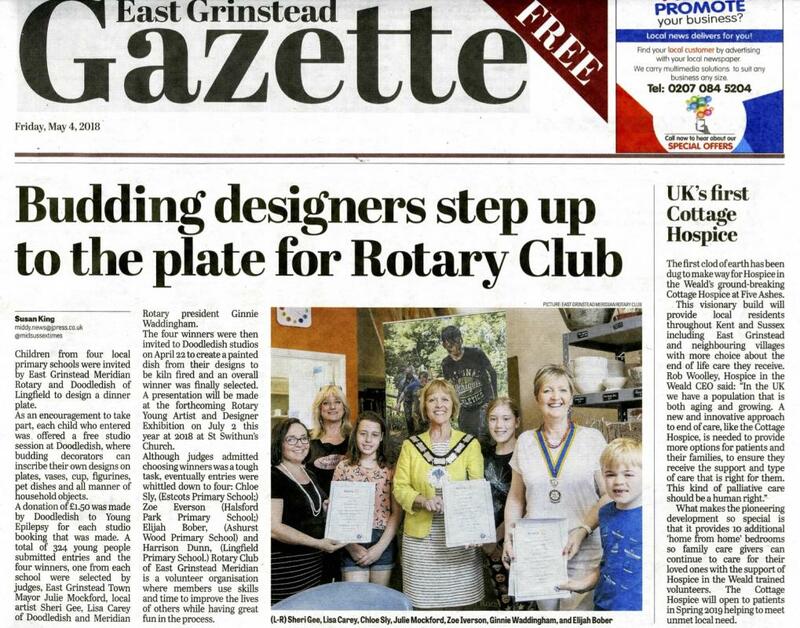 The winner of the Rotary Design A Plate competition was also announced at the time. 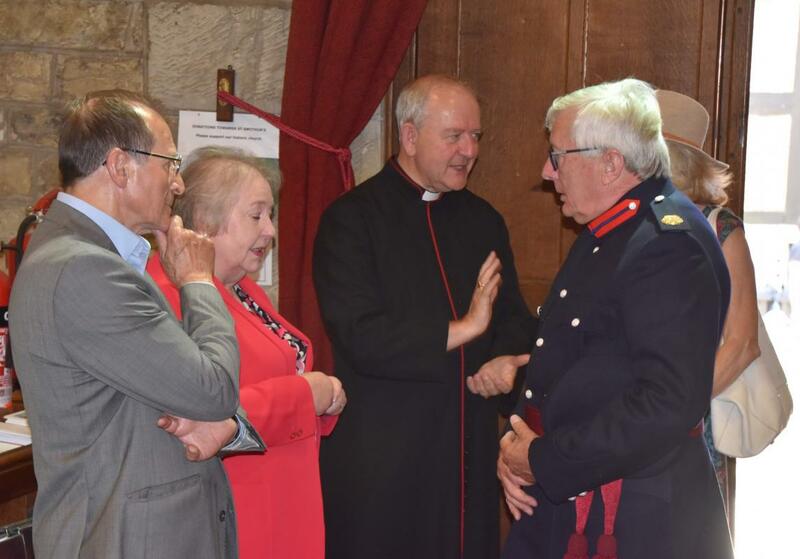 The event was followed by a meal for Rotary and Church members and guests at Paglia e Fieno local restaurant.